Risk factors for high blood pressure - and the serious health conditions that can follow. Posted in General Health & Wellness on March 3, 2011. Last modified on February 01, 2018. Read disclaimer. Nearly 1 in 3 American adults and 1 in 5 Canadians have high blood pressure. High blood pressure increases your risk of serious conditions including coronary heart disease, heart failure, stroke, kidney failure and more. However, many people are unaware they even have it since high blood pressure itself normally shows no symptoms. DetroitHealth.com is a participant in the Amazon Services LLC Associates Program, an affiliate advertising program designed to provide a means for sites to earn advertising fees by advertising and linking to amazon.com. 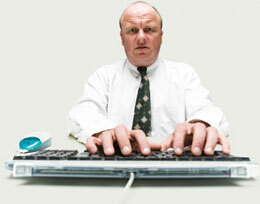 Age -- Males over 45 and females over 55 have a higher risk of high blood pressure. Race/ethnicity -- Anyone can have high blood pressure, but it's especially prevalent in African- Americans, often with an earlier onset and increased severity. Plus, African-Americans have a higher rate of death from stroke and kidney disease than Caucasian or Hispanic- American adults. Unhealthy lifestyle habits -- Certain lifestyle habits can increase your risk, such as too much alcohol, not enough potassium, inactivity and smoking. Family history of high blood pressure and prehypertension (a blood pressure reading of 120-139/80-89 mmHg). The sodium connection -- For some people, too much sodium in the diet can lead to higher blood pressure. Sodium keeps excess fluid in the body, which puts a strain on the heart. According to the Centers for Disease Control and Prevention (CDC), eating less sodium can help prevent, lower or even control blood pressure. A CDC study shows that 2 out of 3 adults in the United States are at high risk from sodium-related health problems. 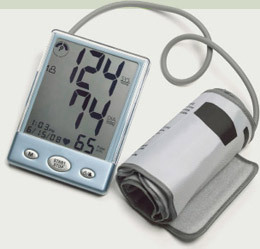 What is a high blood pressure reading? You'll often see blood pressure readings written as systolic (blood pressure when the heart is pumping blood) over diastolic (blood pressure when the heart is at rest - between beats) and looks something like 120/80. Blood pressure can vary throughout the day and by stress or activity levels. If your numbers are above 120 (systolic) or 80 (diastolic) most of the time, however, you may be developing or already have high blood pressure and should talk with a doctor. eat a diet that is low in saturated fat, total fat and cholesterol. consume plenty of fruits, vegetables and low-fat dairy products. limit your salt. Adults should consume less than 2,300 mg of sodium daily -- and less than 1,500 mg daily if you already have high blood pressure. Keep in mind that one teaspoon of table salt contains 2,300 mg of sodium. get at least 30 minutes of moderate physical activity at least 5 days per week. Our bodies need sodium: it regulates blood pressure and blood volume and plays a key role in muscle and nerve function. But too much sodium in your diet can pose health hazards, including high blood pressure and increased risk of heart attack or stroke. The good news? You can help reduce your daily sodium intake with some simple dietary changes. Although cutting back on table salt sounds like the easy solution, all forms of sodium need to be taken into consideration. 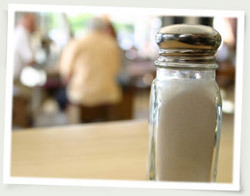 only 6% of our daily intake of sodium comes from added table salt. Most of our sodium intake comes from packaged, processed, store-bought and restaurant food (about 77% of it, in fact). Naturally occurring sodium accounts for about 12% of daily intake and 5% comes from salt used in cooking. Sodium can also be found in certain over-the-counter and prescription medications. Consult your healthcare provider about potential sodium content. Los Angeles, California - People in stressful social situations show greater increases in inflammation, researchers from UCLA reported in the Proceedings of the National Academy of Sciences. In the study, 124 volunteers were placed in awkward social situations: giving an impromptu speech, performing difficult mental arithmetic and taking part in an online game. In all scenarios, participants were subjected to social rejection. Researchers discovered that participants who showed increased activity in brain regions that responded to social stress also had increases in inflammatory activity when exposed to acute social stress in the lab. "This is further evidence of how closely our mind and body are connected," said George Slavich, a postdoctoral fellow at the UCLA Cousins Center for Psychoneuroimmunology. "We have known for a long time that social stress can 'get under the skin' to increase risk for disease, but it's been unclear exactly how these effects occur. To our knowledge, this study is the first to identify the neurocognitive pathways that might be involved in inflammatory responses to acute social stress." Researchers noted that chronic inflammation can put people at risk for a variety of health conditions including heart disease, depression, certain cancers and more. Morgantown, West Virginia - Use of Omega-3 fatty acids prior to a brain injury may help reduce the resulting damage, scientists reported in the journal Neurosurgery. These same researchers discovered in past studies that the Omega-3 fatty acid docosahexaenoic acid (DHA) showed positive results in post-injury treatment and wanted to test its effects when given prior to injury. Using rats, researchers administered DHA for 30 days and then induced traumatic brain injuries. The rats given the highest amounts of DHA experienced the least amount of tissue damage. The scientists concluded, "The potential for DHA to provide prophylactic [preventive] benefit to the brain against traumatic injury appears promising and requires further investigation." London, United Kingdom - Spending more than two hours per day watching TV or on the computer can increase the risk of a cardiac event, according to a study in the Journal of the American College of Cardiology. Researchers followed 4,512 Scottish men for four years and found that those men who spent two or more hours in front of a screen every day were 125% more at risk of a cardiac event than those who watched less. Those who watched four hours or more were 48% more likely to die from any cause. Scientists concluded that inflammation and metabolic risk factors partly played a role. C-reactive protein, a marker for inflammation, was two times higher in those with four or more hours of screen time than those with less than two hours. Physical activity did not lessen the risk of cardiac events. Comment at Preventing vitamin D deficiency: "In your reply to Wendy's comment, you mentioned that the NY..."
Comment at Human health concerns to consider if you have pets: "Good article but something you left off your list is the..."
Comment at How stress may contribute to chronic inflammation: "The info about stress and how it may cause chronic inflammation..."
The info about stress and how it may cause chronic inflammation is good... but now I have even one more reason to be more stressed! 1. Don't turn to drugs or alcohol: These may seem like a quick fix but they usually only make an already bad situation even worse. 2. Try to build a trusted support network: This often helps to diffuse stress more effectively than isolating ourself with our problems. 3. Make healthy lifestyle choices: get 7-8 hours of sound sleep, eat a balanced diet and exercise regularly. 4. Be disciplined about having a normal routine: Don't let work and worries define your life. 5. Do things you enjoy: Listen to music, walk your dog, treat yourself to a warm bath or massage. 1. Manage your weight: Excess fat - especially around near the organs in your midsection - responds to inflammation by creating additional inflammation. 2. Eat smart: An antioxidant-rich diet with abundant fruits, vegetables, beans, nuts, olive oil, and fish can have an anti-inflammatory effect. 3. Exercise in moderation: Aggressive exercise may actually cause inflammation but regular, moderate exercise may help the body produce less inflammation. 4. Practice good dental hygiene: Problematic oral bacteria may contribute to arterial inflammation. 5. Eat yogurt or other sources of beneficial bacteria daily: Probiotics may help keep inflammation-causing "bad" gut bacteria in check. Bottom line: Inflammation in any part of the body can contribute to whole-body inflammation. So, making healthy lifestyle choices may help to minimize chronic inflammation, along with a number of very serious health consequences.